A new study by scientists from the Smithsonian, the Panamanian government and the U.S. Environmental Protection Agency, among other institutions, concludes that conserving old-growth tropical rainforest is "highly recommended" to prevent new outbreaks of viral and parasitic mosquito-borne diseases. "We found that fewer mosquito species known to carry disease-causing pathogens live in forested areas compared to disturbed ones," said Jose Loaiza staff scientist at the Panamanian Institute of Scientific Research and High Technology Services (INDICASAT) and Research Associate at the Smithsonian Tropical Research Institute (STRI) in Panama. "Mosquito species from altered forest sites are more likely to transmit disease than mosquitoes native to an area of mature tropical forest." Loaiza's team used DNA barcoding to identify almost 8,000 mosquito larvae representing more than 50 species from water standing in natural or artificial containers or ground water at 245 sites where tropical lowland forest was highly disturbed (Las Pavas on the west bank of the Panama Canal), somewhat disturbed (Achiote, on the east bank of the canal) and undisturbed (at the Smithsonian's research station on Barro Colorado Island). Because mosquito control was so important to the success of the Panama Canal project throughout the 20th century, there is a large amount of information available about disease-transmitting mosquitoes in Panama. The Walter Reed Biosystematics Unit Mosquito Catalog and in-country sources recorded 286 species of Culicidae (the Mosquito family) in Panama. 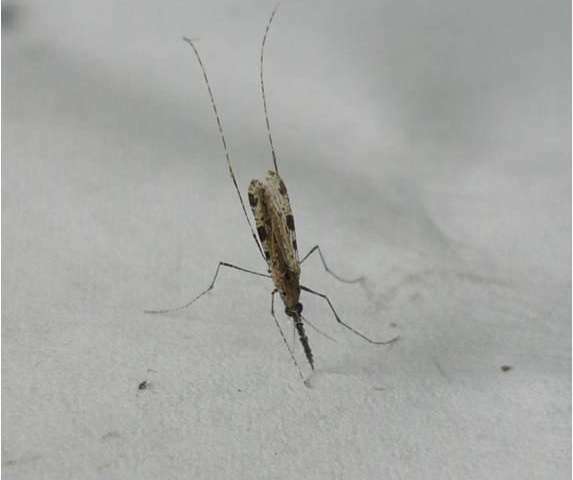 Anopheles albimanus is the main vector of malaria in Central America. Culex nigripalpus is the main vector of Eastern Equine Encephalitis Virus in the US and C. pedroi is the main vector of Eastern Equine Encephalitis Virus in Peru. All occur in Panama. "Disease-carrying mosquito species were conspicuous in disturbed forest settings but almost nonexistent at undisturbed forest sites like the Smithsonian research station on Barro Colorado Island," said Oris Sanjur, STRI associate director for science administration and molecular biologist on the study. "Our results have important implications for tropical disease prevention and control. This is vital knowledge as global warming progresses and tropical disease organisms move into new areas." 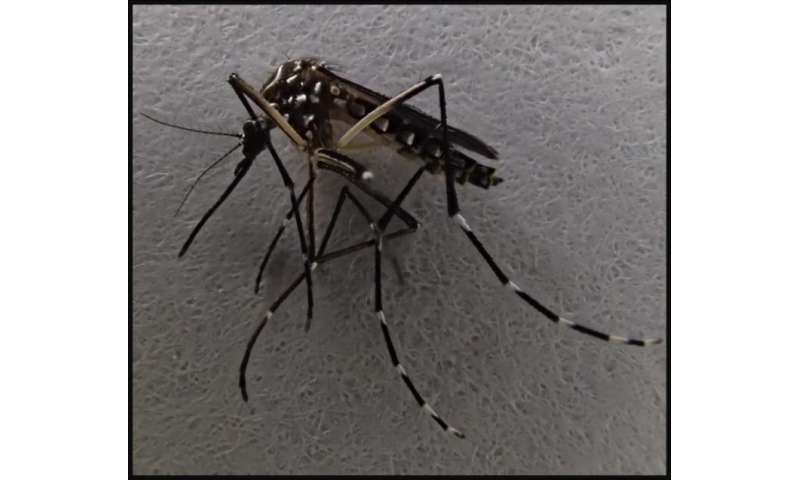 "It may be possible to displace disease-carrying mosquitoes by introducing other species that compete with them at the larval stage," Loaiza said. Then we don't need to use DDT to save human lives.